TELL Tecno Mobile YOUR DREAM AND HOW YOU WILL CELEBRATE if you win the Grand Prize of 1 million naira. Join the Competition in just 3 steps. Step 1 – Submit a video or image/text about your dream. 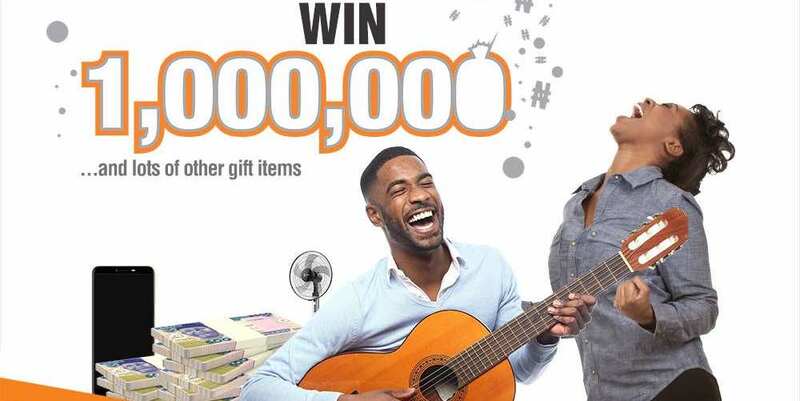 Step 2 – Tell and show us how you will CELEBRATE if you win 1 MILLION NAIRA to support it. Step 3 – Post your entry as a comment under this post. Tag, follow us and get your friends to comment on your entry to increase your chances of winning. Visit http://bit.ly/Spark2Rules to learn more. 1) The #LightUpYourDream2018 Online Activity is open to everyone who is a legal citizen of the Federal Republic of Nigeria. 2) Participants are required to upload a picture, video or text showcasing their dream and how they would celebrate if they won 1 million Naira. 3) 10 entries will be shortlisted weekly for voting on our Social Media pages based on their viability and creativity where 2 winners would emerge weekly. 4) 8 participants, who are all the weekly winners would be invited to pitch to a panel of judges and tell us how they will use the money to achieve their dreams. The other 32 participants will also be invited to listen to a motivational speech on how to achieve their dreams. 5) For every Entry, participants agree that they are the original owner of the picture or video uploaded and shall indemnify TECNO Mobile Nigeria for any claim by any third party arising from their entry. 6) This activity commences on June 12th 2018 and closes July 13th 2018. All entries must be completed no later than 11:59pm on July 12th 2018. No entry received after this time will be considered.